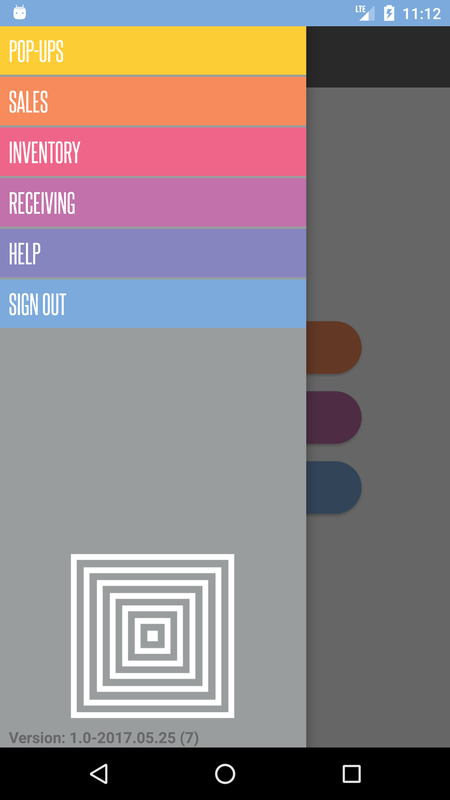 To view the menu, click the menu icon on the upper left side or swipe right from the left side of the screen. For Online or in-home Pop-Ups. Begin a Pop-Up to create a new order. Close a Pop-Up once the event is over; this process settles transactions and funds your pre-paid card. Search Orders by order number, customer name or phone number. 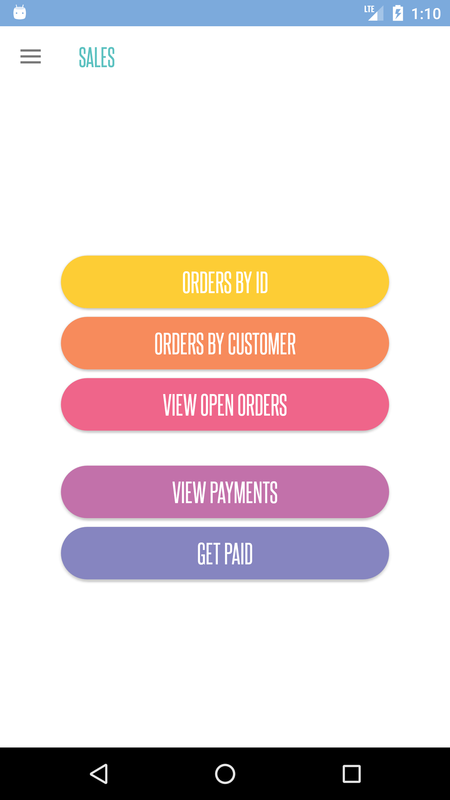 View Payments to check sales totals and funding amounts. 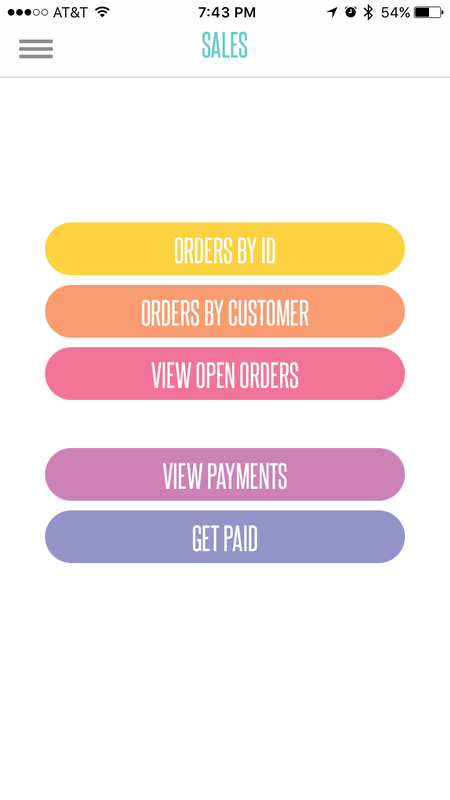 Capture Funds to Get Paid on outstanding Orders. 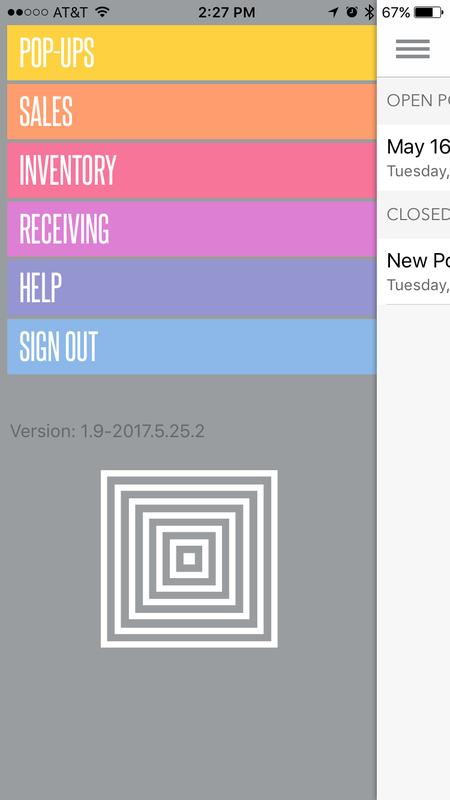 Edit or add an image on inventory items. Share item to Facebook, Twitter, Instagram and Pinterest. List of wholesale orders waiting to be received into the inventory. A new order number will be assigned and the items will be credited back to the credit card used for payment. 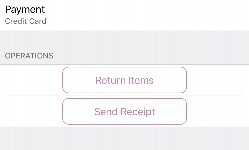 If for some reason the pre-paid card does not have enough funds to do a return, the app will not allow you to return the items. If the initial order was paid by cash or check, the consultant will need to credit the customer with cash. A receipt will automatically be sent to the customer and bcc the retailer. 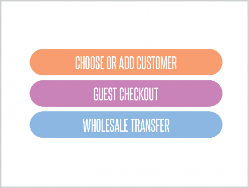 Choose WHOLESALE TRANSFER to transfer inventory items from one retailer to another. Enter the retailer ID to whom the items will be transferred. Select the items to be transferred. Enter shipping & handling charge if needed, shipping & handling tax will be applied. Single or split tender available.